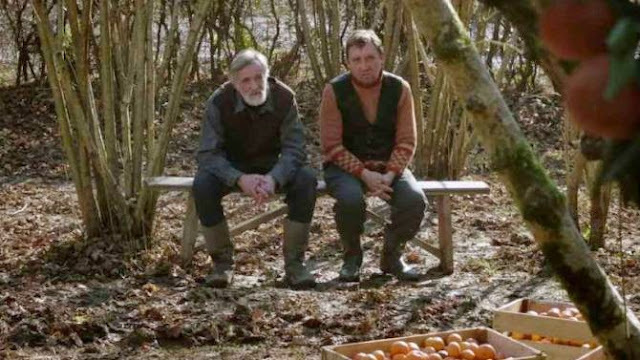 Rightly nominated for the Best Foreign Language Film at the 87th Academy Awards - narrowly loosing out to the brilliant Polish movie Ida (2013) - Tangerines (2013) is a Estonian-Georgian anti-war film written and directed by the Georgian film director and screenwriter Zaza Urushadze. 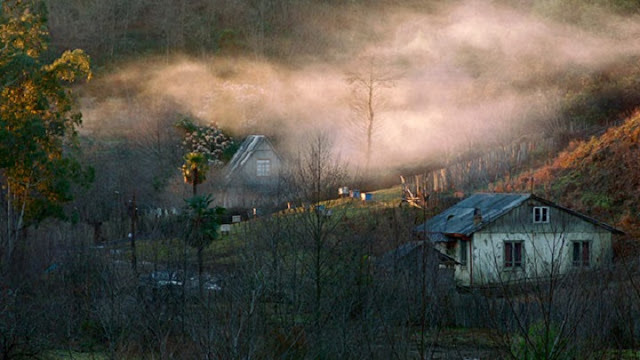 The Estonian settlements in the Caucasus go back more than 100 years. With the outbreak of the bloody conflict between Georgia and the Russian supported Abkhazia in 1992 ethnic Estonians were forced to return to their ancestral homeland in Northern Europe. With very few people staying behind their villages became ghost towns. Urushadze’s movie focuses on two Estonian immigrant farmers who have decided to remain in Georgia long enough to harvest their tangerine crop. 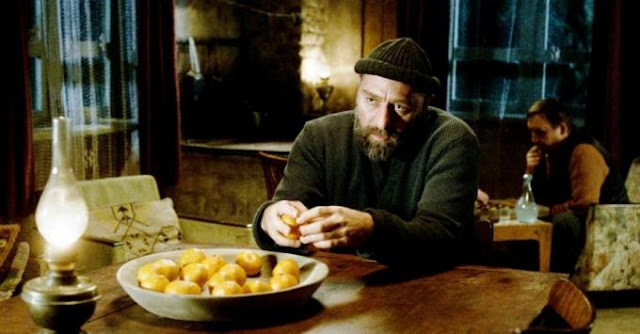 When the fighting arrives at their doorsteps, Ivo (played by legendary Estonian actor Lembit Ulfsak) along with friend Margus (Elmo Nüganen), treat two wounded soldiers from opposite sides, Ahmed (Giorgi Nakhashidze) and Niko (Mikheil Meskhi). During their extended period of convalescence under the administration of Ivo, they are forced not only to confront the reasons that fuel their hatred for each other, but also the conflict that rages around them. ....as well as hardened fighters. Thanks to the totally believable acting from the complete cast and the cinematography of Rein Kotov we get some inkling about the realities of living in a war zone, which unfortunately many of the worlds population are finding out. A situation that’s not going to improve with the UK’s politicians voting to bomb countries, a decision that will inevitably course more innocent civilian deaths, more misery and more refugees leaving the conflict zones. Will we never understand that war never has a victor; yes it makes certain people richer but makes humanity generally far poorer. The movie goes along way to prove my point regarding the meaning of how to be human and behave compassionately. It’s this type of film that makes statement cinema worthwhile, and strangely left me with a warm feeling, perhaps my faith in humanity had gone up a point or two, but that wont last!